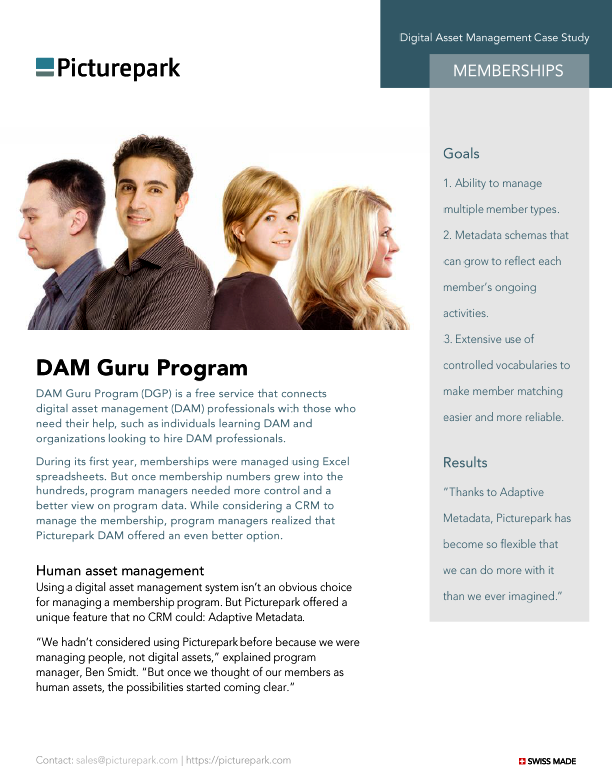 In collaboration with the Director of Global Marketing and the Program Manager, I helped design and configure a Picturepark database instance in support of the DAM Guru Program. My involvement included the design of the initial metadata schema and controlled vocabularies to enable the DAM Guru administrator to effectively find and match member profiles and expertise to relevant job opportunities. I also assisted in configuring the database instance and importing the vocabularies using asset classes. 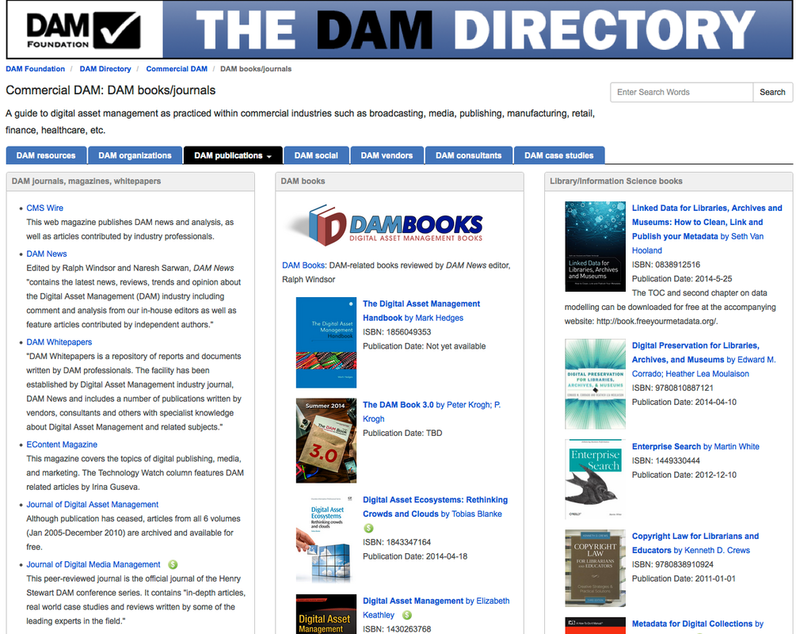 I am the founder and head curator for the largest and most comprehensive library of DAM resources on the web. The directory consists of quality, curated educational resources on topics related to digital asset management as practiced within the public, private, and non-profit sectors. This implementation plan outlines a theoretical DAM initiative for marketing and creative staff based on brief interviews with staff at the Academy. 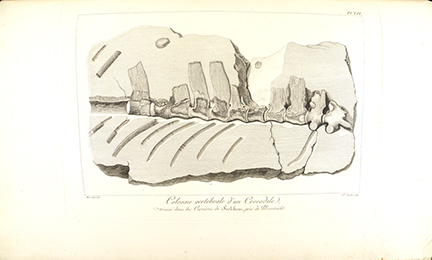 My virtual internship with NHMLAC entailed cataloging over 1,450 born digital images within Extensis Portfolio, the DAM system used by the marketing/creative departments. I cataloged assets according to a departmental cataloging guide, and contributed terms to the controlled keyword index. 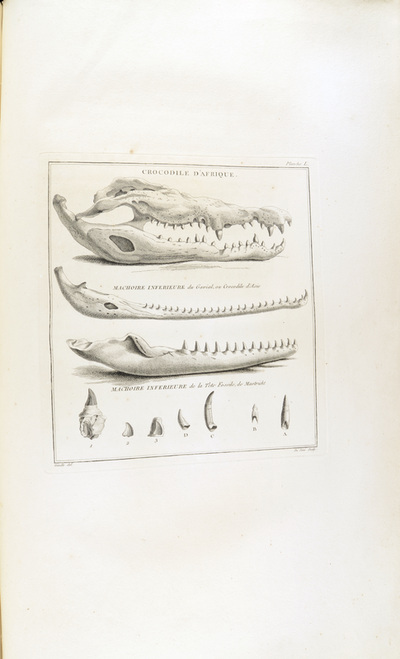 This data dictionary was created for use in describing and providing online access to the Alcohol History Collection (AHC), an archival collection currently being digitized by staff at the Rutgers Center of Alcohol Studies Library. Included in this paper is a brief description of the digitization project, with specific focus on metadata requirements and constraints imposed upon the metadata schema design. 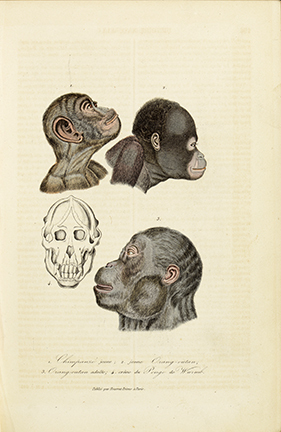 During my time at the Academy of Natural Sciences of Drexel University, I digitized rare library and archival manuscripts in order to provide scholars with increased access to the materials through the Academy Library and Archives Digital Collections. 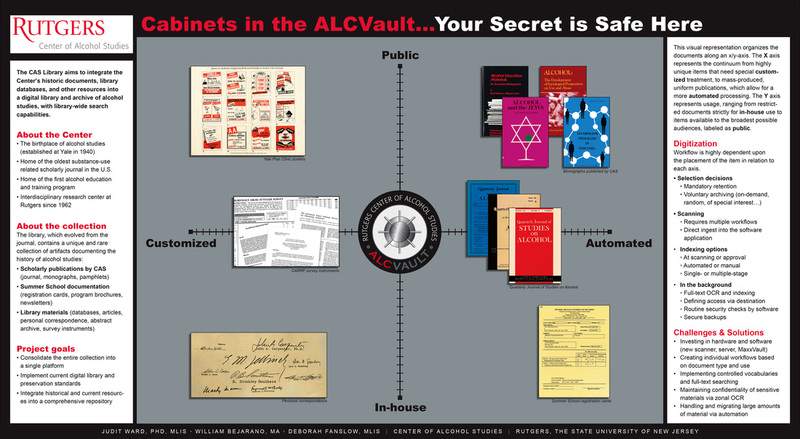 I designed, authored, and presented this poster at the 2014 Substance Abuse Librarians and Information Specialists (SALIS) conference. 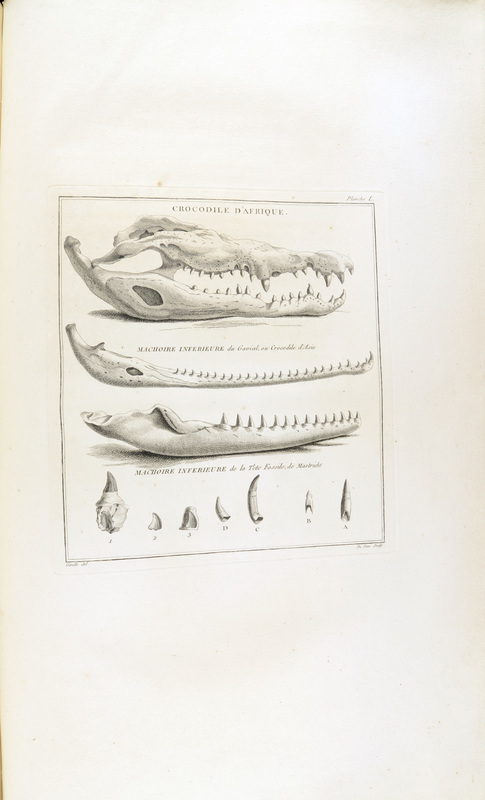 The poster describes the library's digitization project and documents our process of procuring and customizing a document management system for use as a digital library platform. Issues are presented in the areas of rich media management, workflow, metadata, vocabularies, UX, and training. An accompanying article was also published in the inaugural issue of Substance Abuse Library and Information Studies, a journal of SALIS Conference proceedings which I designed and co-edited. 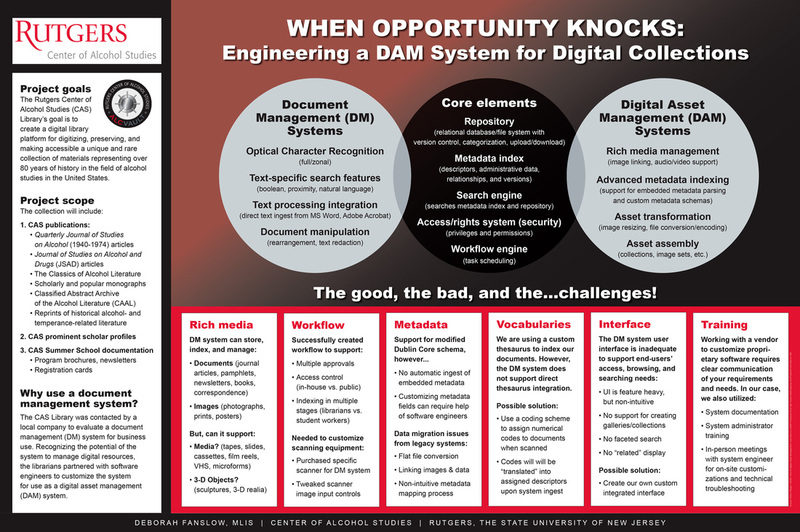 I designed and co-authored this related poster, which was presented by colleagues at the Medical Library Association (MLA) conference in May, 2014. 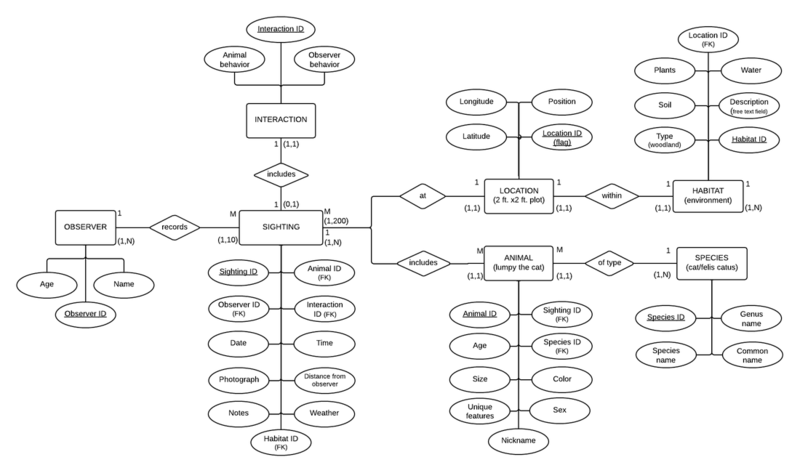 The poster illustrates the complex decisions involved in determining asset selection, workflows, indexing methods, and access/permissions structures for both unique and uniform assets. Assets are conceptualized within a grid representing the level of custom vs. automated processing, and public vs. in-house access. This small thesaurus was designed for use by library and information science students, faculty, and librarians. 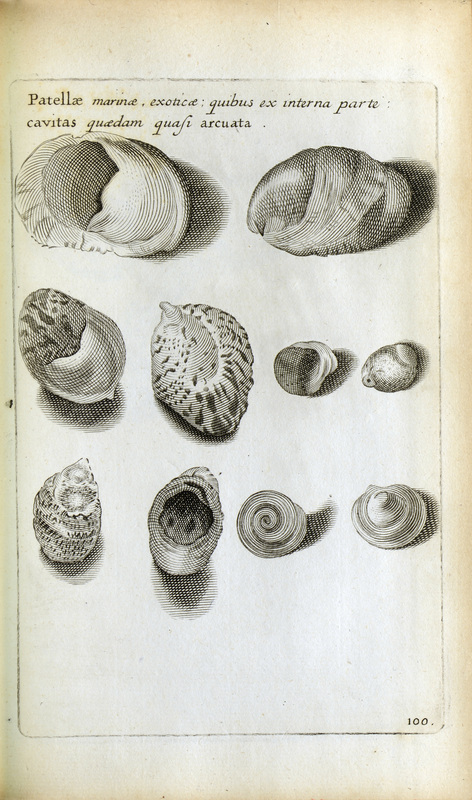 The scope of this thesaurus includes documents within a library and information science collection. 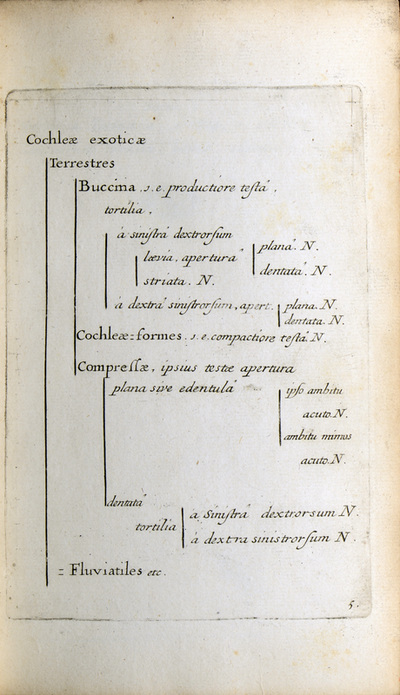 This thesaurus was developed using facet analysis, and designed for use within a post-coordinated information retrieval system. 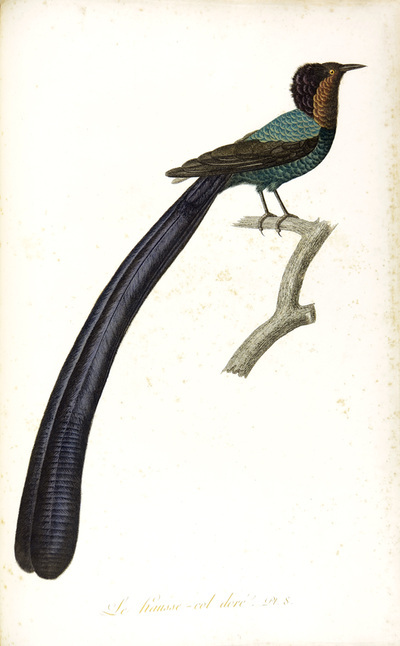 Terms used in this thesaurus were derived in part from the ASIST Thesaurus of Information Science, the Library Literature and Information Science Thesaurus, and content derived from the Online Dictionary for Library and Information Science. 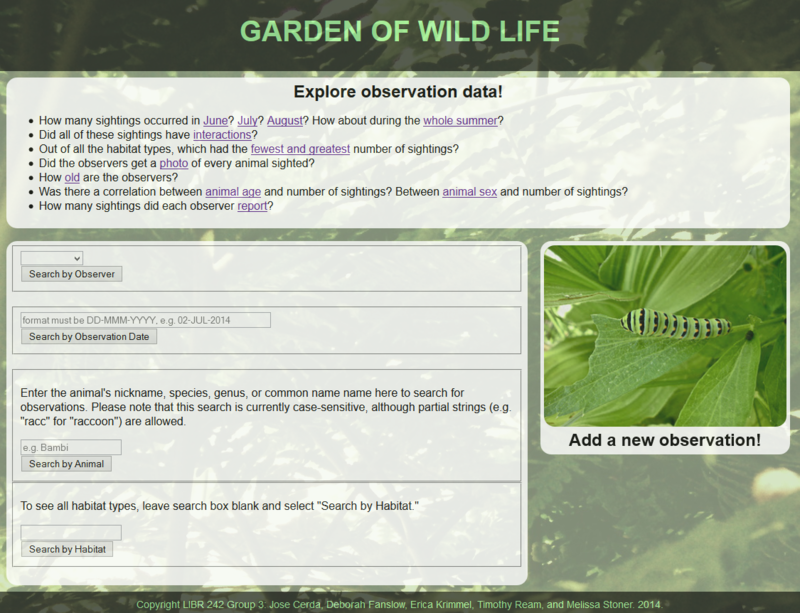 The web interface enables the family to view statistics, search the database by various facets, and add observation data to the database. 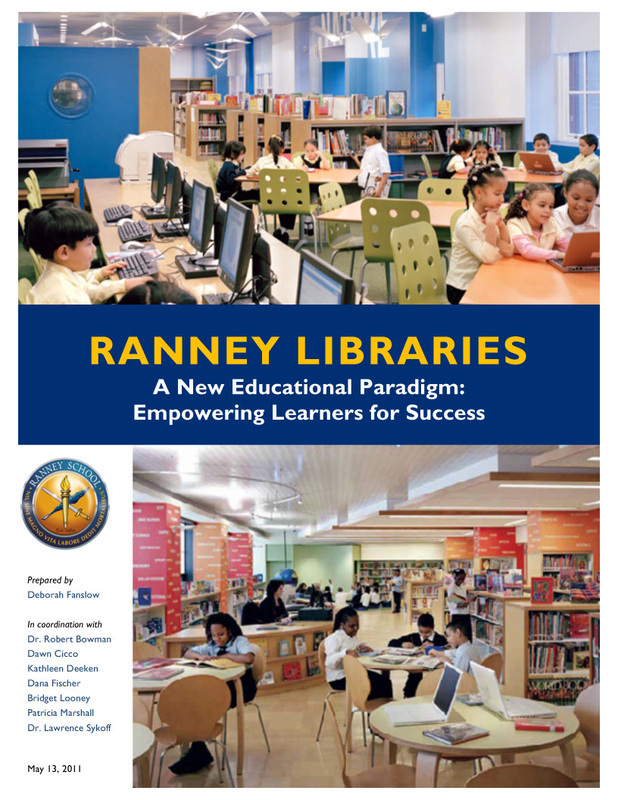 I created Ranney LibGuides to provide 24/7 access to library resources and instructional support for students in the Middle and Upper Schools. Students and teachers warmly embraced these structured, interactive research guides, which were tailored to specific assignments. 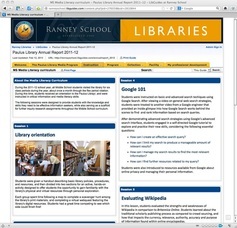 I often taught information literacy lessons for students directly from these guides, and used them to curate professional development resources for teachers as well. 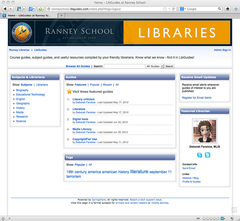 The Internet vs. the "deep web"
This screencast was created as an instructional aid to help students and faculty log in to Destiny, the web-based library catalog. This tutorial was designed to provide 24/7 assistance for students and faculty who needed help when library staff were not available! 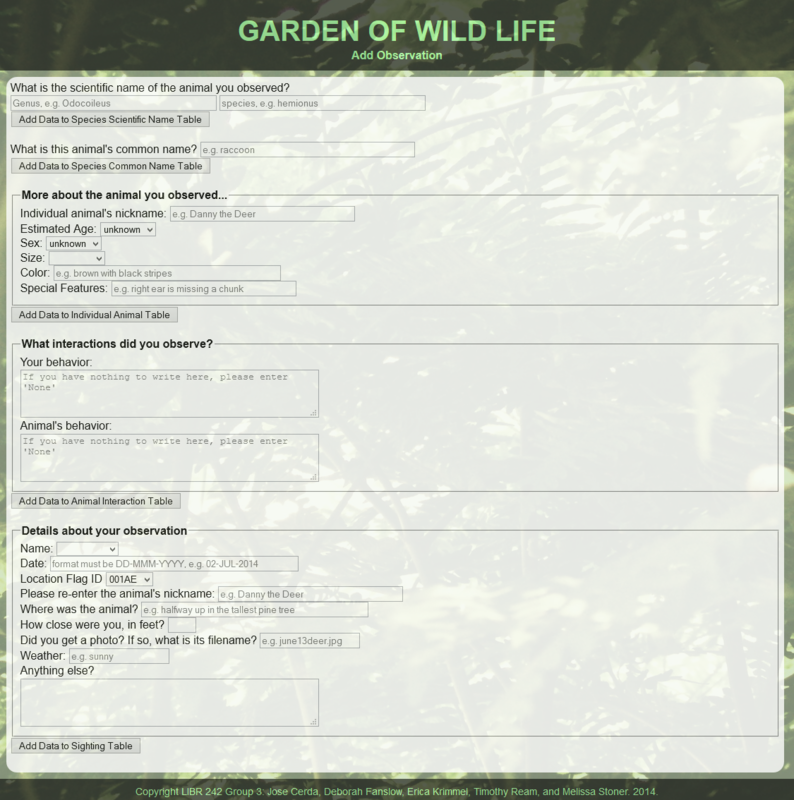 I created this wiki to host the content of a professional development workshop on Web 2.0 tools for faculty in the Middle and Upper Schools. 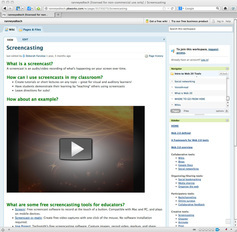 The wiki features recommended educational technology tools, along with examples and best practices. Because teachers are always on the go, I created this accompanying handout featuring "the best of the best" tech tools for busy teachers to explore. 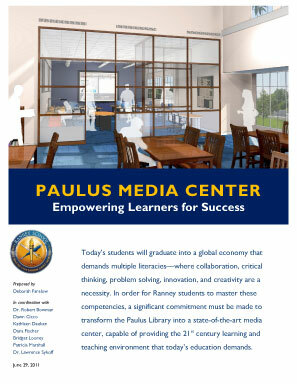 I designed and authored an interactive website for the Paulus Library to promote and increase access to library news, resources, programs, and services. 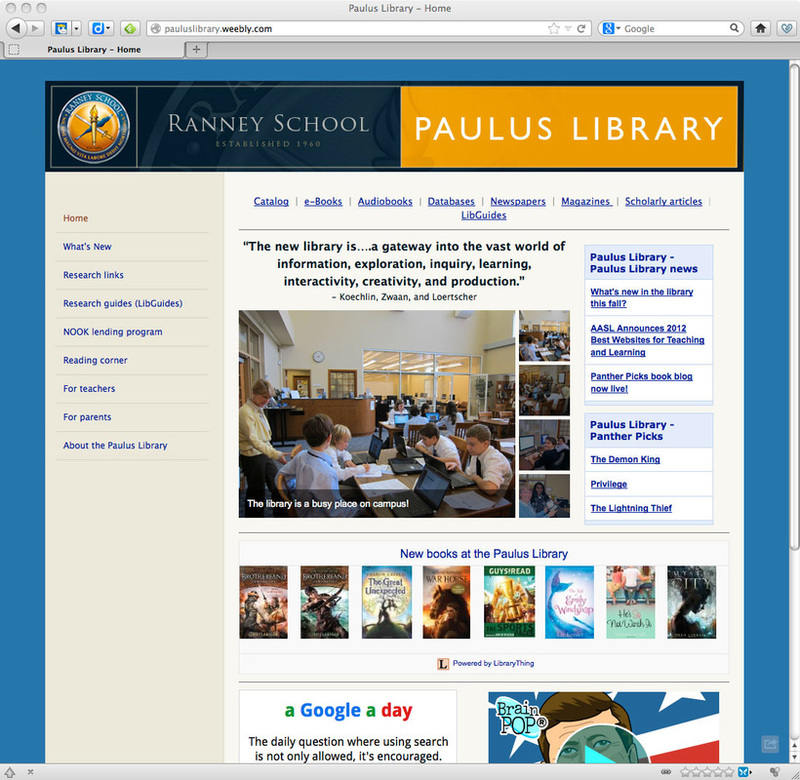 The website served to centralize, organize, and promote the library resources and services available for the students, faculty, and parents. 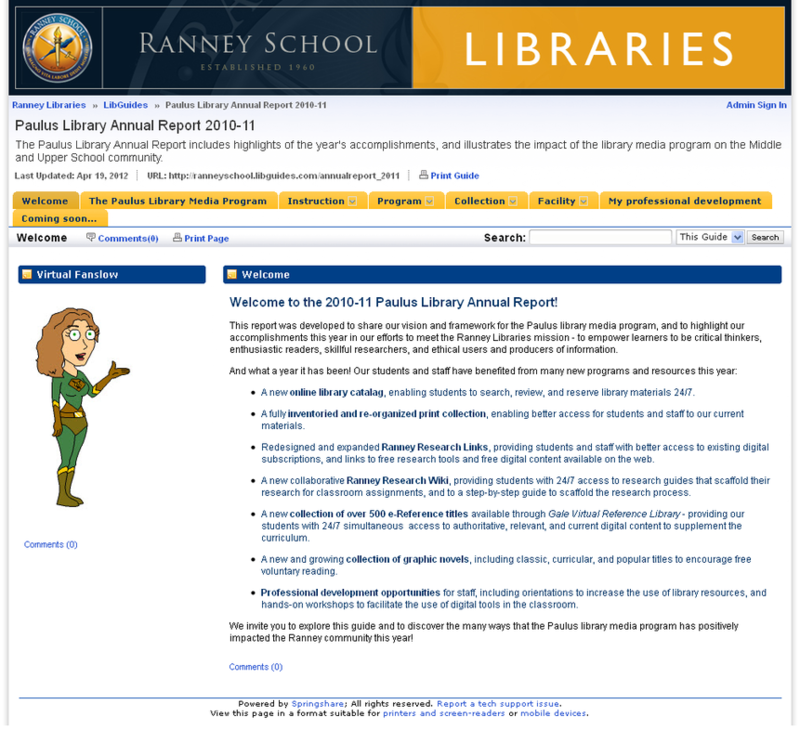 Explore the interactive annual report for my first whirlwind year managing the Paulus Library media program. The report highlights my goals and accomplishments in the areas of instruction, program management, collection development, and facility management. 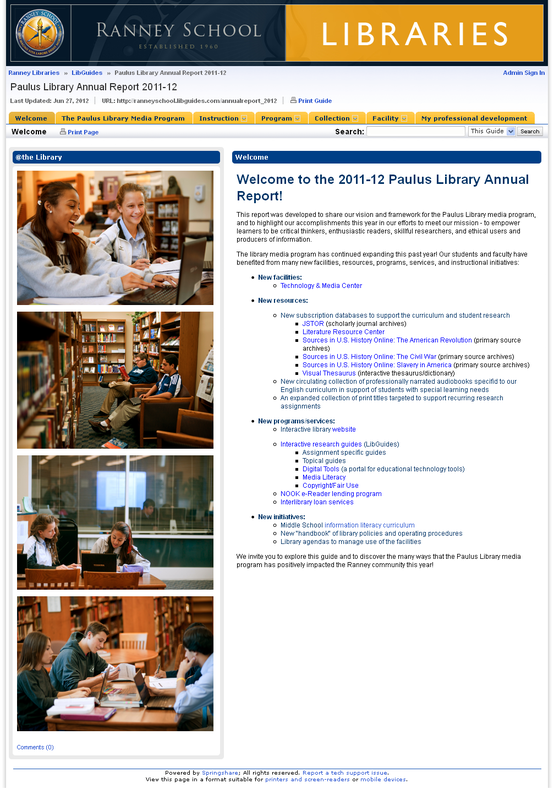 Explore the interactive annual report for my second year managing the Paulus Library media program. 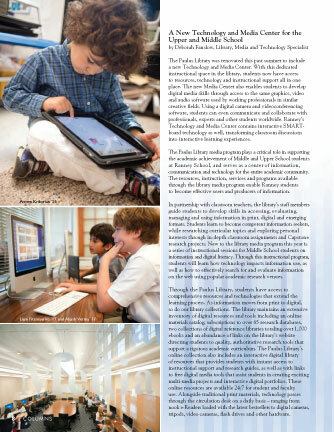 The report reflects on goals from the previous year in each program area, and highlights accomplishments made towards meeting the library's mission. This renovation project succeeded in transforming a space full of outdated print materials into a vibrant instructional media center dedicated to teaching, learning, and digital production. The project was a collaboration between myself and talented individuals from the Administration, Development, IT, and Operations departments, as well as a library architect and specialized vendors. After all of the research, campus visits, meetings, proposals, presentations, ordering, cleaning, and setup was completed, the new media center quickly became one of the most frequented places on campus! The facility was heavily used all throughout the year for academic classes, multimedia projects, workshops, meetings, presentations, exams, student activities, and community events.